The Club's annual picnic happened! Where you there? Should have been ...you really missed a great time! The 2002 picnic was a huge success! We topped off with 23 CORVETTES, over 50 people and rumor has it from the "powers that be" that it was the largest attendance and most fun ever! If you were not able to attend you missed a fantastic day! The weather was PERFECT but the SCC usually has great weather for all their events! 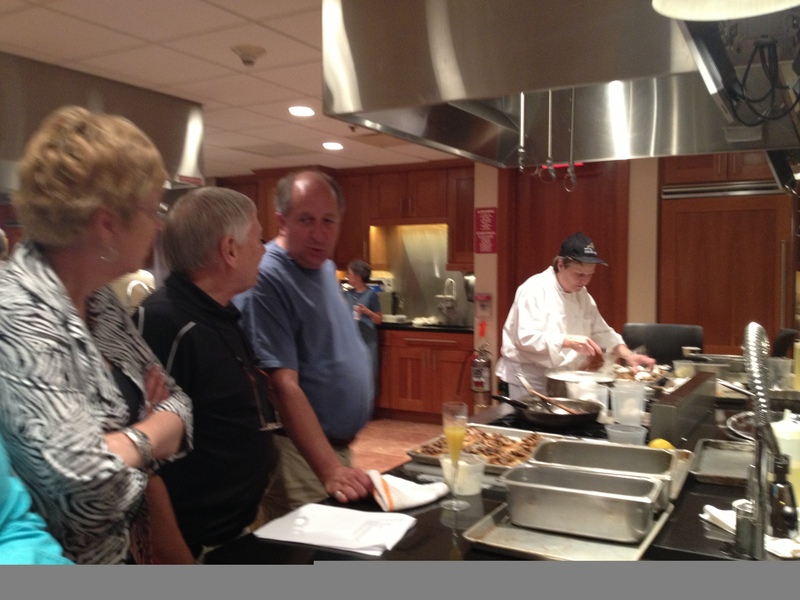 The food was superb and the chefs, Ron and Jerry really out did themselves! The day had fun and laughter and great conversations going at all times! The cars were looked over real close, especially Sue R.'s 62!!!! You would have thought there was money hidden in the engine! ( See Picture!) The awards( well earned and deserved) for the Scavenger hunt were handed out and you should have seen the "eyes" on some of the participants! ( Inside joke, had to be there! ). The bocce ball challenge, ( girls against the guys) was hilarious! you really had to be there to see the girls skunk 12 guys!!!! See all the great stuff that you missed if you didn't go???? The day was finished up with a cruise to Sweet Inspirations in Fulton for a Sock Hop with the Syracuse Nats cars. And as usual as we all pulled in , heads turned! Many new friends were made today and more members joining all the time! The SCC just continues to grow and grow! Thanks to all the members of SCC for their participation in such a GREAT day! You are what makes it the day that it was! Enjoy the "class picture" and the many great shots that our photographers in the club submit! Who said there was money hidden in here? and this year, you out did yourselves!